There are a few important details that still need to be added to the boat, like a dashboard, motorboard, decks, etc., not to mention a motor and steering wheel! But suddenly the light at the end of the tunnel really seems to be approaching. 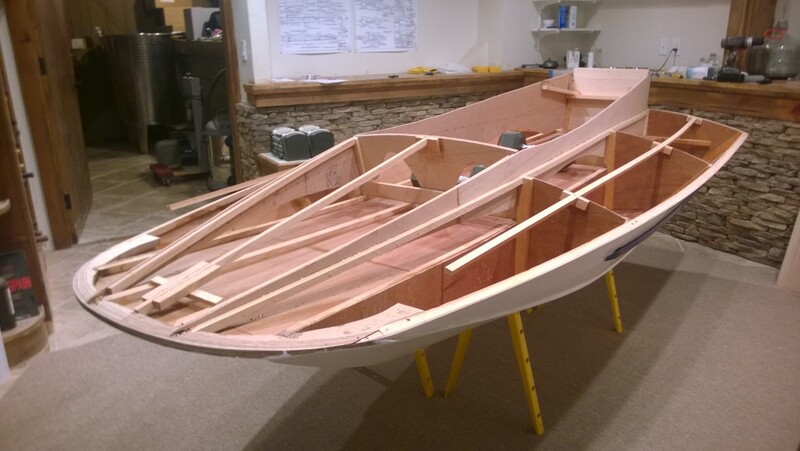 The next step is to complete all the framing for the raised deck on the bow of the boat, called the cowl. 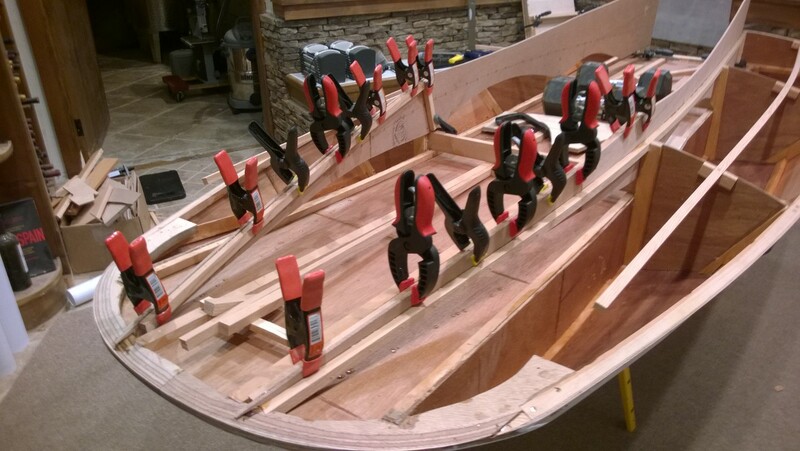 First step was to install the cowl cleats to the coaming. Once the cowl cleats were in, I added the dashboard. Finally, a bit of framing called the strongback was added, which runs from the center of the dashboard to the center of the bow of the boat. The front end is now completely framed! Next, it was time to move to the stern. One of the first parts that I assembled was the motorboard, and now it was finally time to install it. Motorboard assembly was pretty easy, except it was a bit difficult to figure out enough places to put clamps. Breaking the assembly into steps solved that problem, first the motorboard, then all the associated framing. 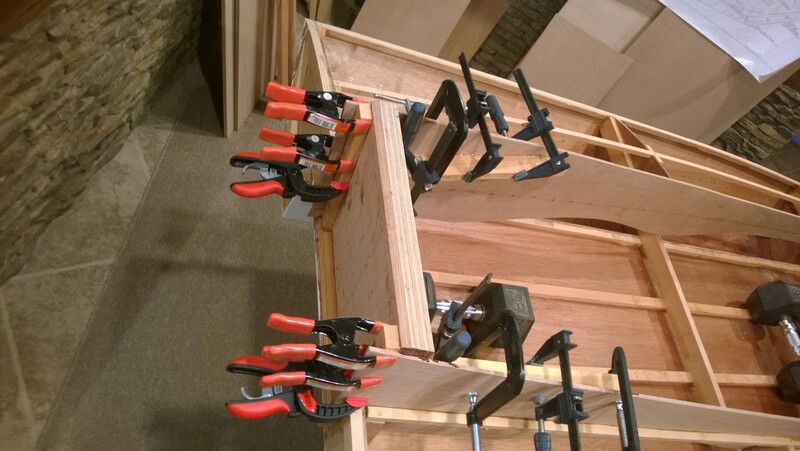 As you can see, the amount of framing is fairly substantial, as the motorboard is put under quite a bit of stress. 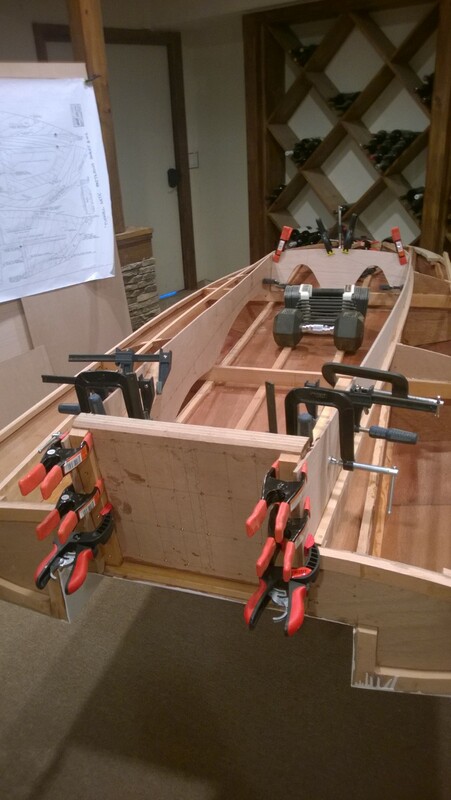 Once the motorboard was installed, framing of the boat was essentially complete. All that is left is to add the decking. 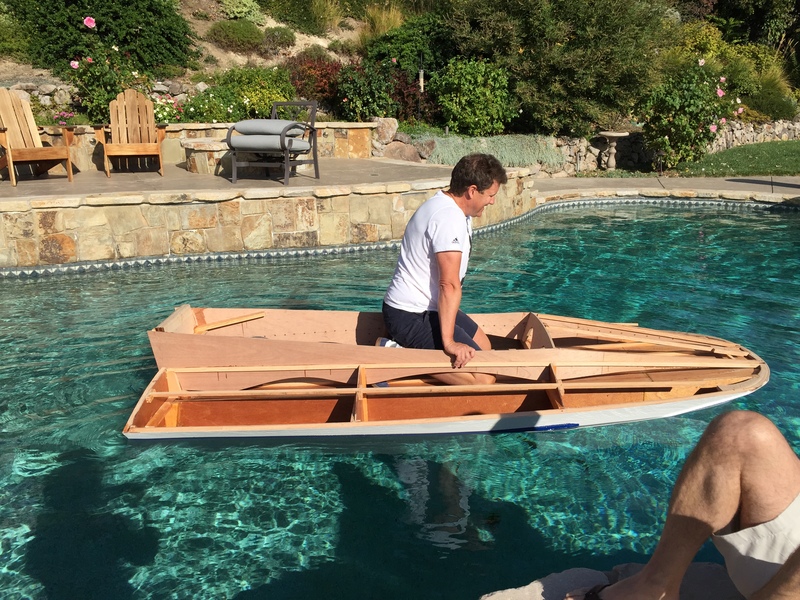 But, before doing that, I wanted to put the boat in water and look for leaks, while access to the interior of the boat was still easy. So, with friends in town, I took the opportunity to float the boat in the pool. Even Roscoe got in on the action! 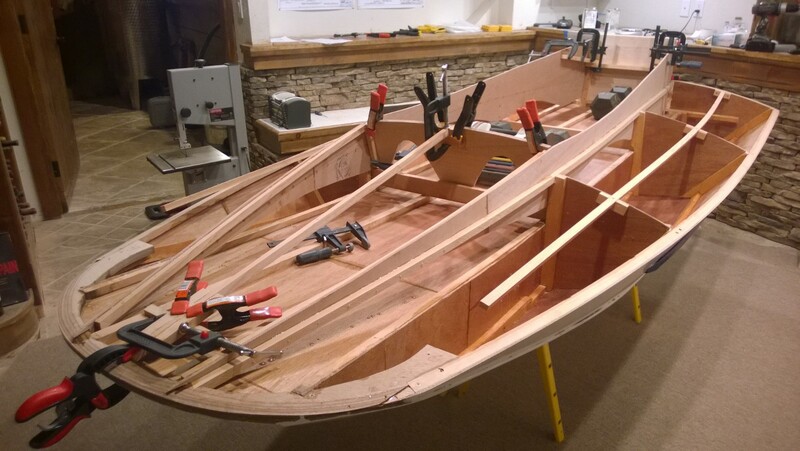 This entry was posted in Boats on October 22, 2014 by John Beekley.